Home / Competitions / entertainment / WIN tickets to premiere of Fury at VOX Cinemas tomorrow night! 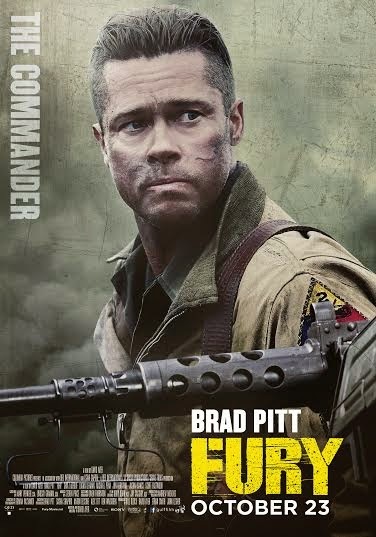 WIN tickets to premiere of Fury at VOX Cinemas tomorrow night! Well, the free tickets fairy at VOX Cinemas just visited me and gave me 5 pairs of tickets to go and watch the advance premiere of Brad Pitt & Shia LaBeouf's latest flick, Fury, tomorrow night at 9pm in their MCC location. Fury is testing well with critics, and currently has an 8.3 rating on IMDB. It looks like a fun movie, and I do like lots of explosions, so easily entertained. So, here's the drill, you have to answer a question in the survey box below, along with your name (so I can give it to VOX to add you to the guest list) and your email address (so I can notify you if you win). As always, you can double your chances by commenting the correct answer on my blog's Facebook page too. I'll announce the winners at noon tomorrow! When will Fury be releasing in Oman? Here's a top tip, it's also the world wide release date, shown on the IMDB website.